7 Castlehill Courtyard, a superb modern family house, belonging to the family of Olympic medallist Scott Brash, has been put on the market by our Peebles branch. 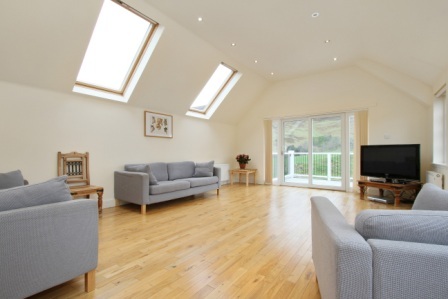 Quietly situated in a spectacular rural setting in the hills close to Peebles, Castlehill Courtyard is a bright and spacious accommodation, of approximately 2,500 square feet, arranged over three levels. Built in 2007 to a high standard, it has all the benefits of a modern home with double glazed windows and doors and a full oil fired central heating system. The house has excellent entertaining space with a very bright sitting room which has double doors opening onto a large balcony overlooking the ruins of the Medieval Castlehill Tower and the hills beyond. 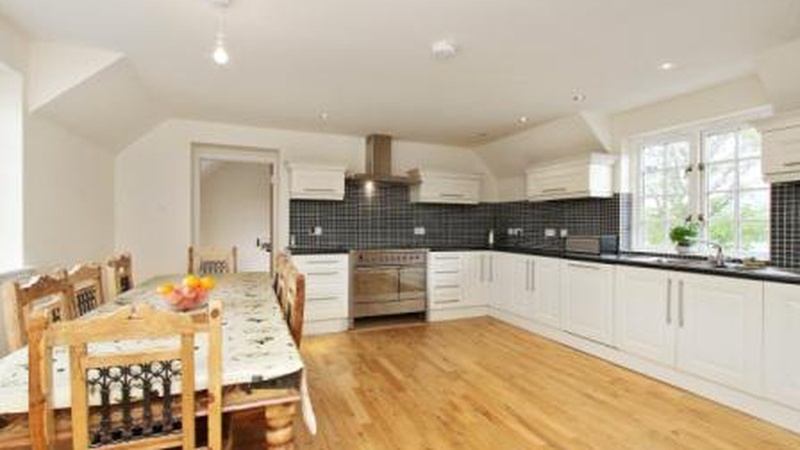 The kitchen is fully fitted with a range cooker and integral appliances and has ample space for a dining table. 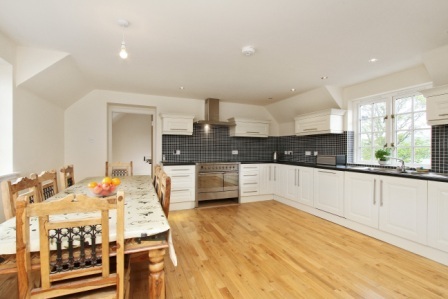 Off the kitchen is the family room, a very useful and adaptable space which is currently used as an office. In total there are five bedrooms within the property, four of which have en suite shower rooms and there is a further full family bathroom and a separate cloakroom. Ample parking in the courtyard to the front of the house and a lovely garden complement the property. Peebles is a thriving county town serving a large rural area and offers excellent recreational facilities. The area is renowned for horse riding the house is adjacent to the equestrian facility used by Scott Brash, who swept to Games glory with his teammates at the show-jumping event. This beautiful countryside area is also popular for walking and fishing in the rivers in the Scottish Borders. There is also world-class mountain biking at Glentress and Innerleithen, part of the 7 Stanes trail, and many nearby golf courses. The town has an excellent range of schools and shops and now also includes the lovely gold pillar box outside the Tontine Hotel in Peebles which was painted in Scott's honour. Ann Thompson at CKD Galbraith said, "Castlehill Courtyard presents potential buyers with a superb family home which is spacious yet comfortable and finished to very high standards. The house will appeal to larger families or alternatively as a potential bed and breakfast business. The nearby recreational facilities are a real plus point and, who knows, they could help produce another future Olympian gold medallist!" 7 Castlehill Courtyard is on the market for 300,000. Find out more about this property.